<< Is Coffee Killing Your Chance of Being GERD-Free? The weather outside may not be frightful (just yet), but that doesn’t mean it’s super fun to be out in. The transition from fall to winter can leave people in limbo—as they may not be able to continue their summer recreational fun—nor start their typical outdoor winter excursions. As an author myself, my natural inclination is to curl up with a warm blanket, a cup of tea (or coffee, or cocoa! ), and immerse myself in a good book. 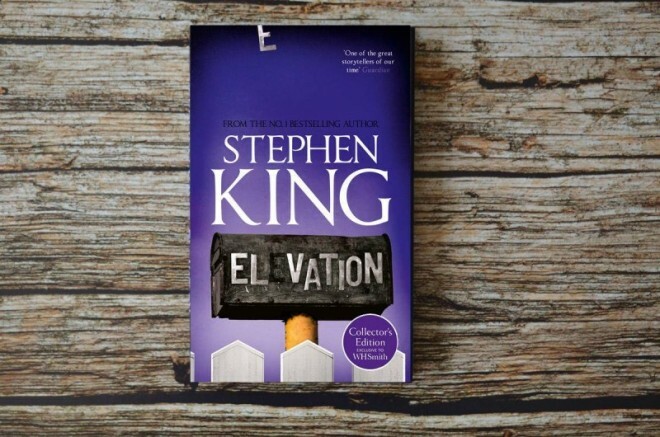 The good news is, there are some stellar reads hitting the market this fall—many of which happen to come from one of our all-time favorite authors, Stephen King. In fact, he has three new releases out this year and each of them are top-notch in their own way. But you don’t have to take my word for it, you can check out their story details and pick up a copy for yourself. And if King isn’t the right fit for you, we have a couple additional new releases to check out. Let’s have a look at the new novels just released this year. What it’s about: This novella takes place in the legendary town of Castle Rock – where many of King’s novels take place. The difference is, this short story offers a much more inspirational tone than many of his horror novels. It follows the story of Scott Carey, a man who’s actively trying to lose weight—but something unusual is happening… no matter how he weighs himself, with or without clothes, he weighs exactly the same. The reason may come as a surprise. Miracles come along every day—and in all shapes and sizes. What’s it about: Written by the bestselling author of The Good Girl, Mary Kubica delivers a riveting, emotional thriller in When the Lights Go Out. The story revolves around the life of Jessie Sloan, a woman now rebuilding her life after years of caring for her ailing mother. As she continues on her journey of self-discovery, a bizarre mystery begins to unfold—with her and her entire existence at the center. What it’s about: In typical Stephen King fashion, this horror thriller is bound to keep you turning the page until the very end. An unsettling read, it follows the investigation that follows after an eleven-year-old boy’s body is found in a park. The town’s most popular citizens seems to be the culprit—but could it be as cut and dry as the evidence makes it appear? You’ll have to read to find out. What it’s about: Part scifi, part fantasy—and part an emerging new type of romance: reverse harem, Kaydence Snow’s first book in the Evelyn Maynard trilogy is sure to enthrall you from the first few pages. Following the life of Evelyn Maynard, she’s accepted to an exclusive school meant for Variants—humans with special abilities. She encounters a trio of guys in the school, each with their own special secrets, abilities, and she’s attracted to all three. But the secrets surrounding them all could be explosive. What it’s about: This book is cowritten between Stephen King and his son, Owen King. An interesting, bizarre supernatural thriller, this collaboration is sure to make you want more out of these two. Imagine for a moment, what it would be like to have all of the women in the world go to sleep—only to be shrouded in a weird cocoon-like substance. If they anyone tries to wake them up, they go feral and violent. Sleeping Beauties is a dystopian ride like no other—and a timely one at that. Need some more reasons to pick up a good book for those rainy/snowy winter days? As it turns out, reading is more than just fun. It can have some serious health and happiness benefits to it, too. Most of the benefits are available to all bookworms, regardless of their preferred reading method—however, for an added health boost, reach for a good old-fashioned print book. Any bibliophile will tell you, there’s nothing like the weight of a real book in your hand, the turning of a real page, and the smell of a new book to bring your stress levels down. But let’s talk more about the awesome ways reading can benefit you. – Whenever we lose ourselves in the lives written in the pages of a book, we’re automatically suspending disbelief and putting ourselves in someone else’s shoes. This simple, but powerful act are the building blocks to empathy. When we can relate or understand a differing perspective or point of view through reading, it opens our minds and allows us to become more understanding and empathetic human beings—something we could definitely use more of in the world. This is a tremendous skill that allows us to navigate more complex social relationships and make room for building bridges. – Your brain needs stimulation in order to keep it healthy. When you dive into a good book, foregoing a movie or some other visual stimulation, you are actually giving your brain an awesome workout. According to neuroscience, the simple act of reading keeps your memory sharp—staving off Alzheimer’s. According to research published in the journal Neurology, people who continued to engage in mentally stimulating activities, such as reading, into old age had a much slower rate of mental decline. In fact, it was a whopping 32% slower rate of cognitive decline over peers who didn’t read or exercise their brains often. – When someone says they want to curl up with a good book, the thought just sounds relaxing, doesn’t it? That’s because to many, it really is. In fact, according to Sussex University, stress levels can drop by a whopping 68% when you sit down with your favorite book. Add to that, reading as a way to unwind, and you’ll likely find you’re able to relax more and drift off to sleep far better than if you stayed up watching another show on Netflix. – It should go without saying, but picking up a book can—and usually does—expand your knowledge base. Even if you’re reading fiction, you’re introducing new concepts and you never know which parts will come in handy down the road. Add to that, the myriad nonfiction books out there and you have the ability to expand your knowledge beyond your wildest dreams. There is a lot to learn out there—take advantage of that big, beautiful brain of yours. – Exposure to new words through reading increases our vocabulary every time we come into contact with one. In fact, according to the University of California, Berkeley, we are exposed to 50% more words through books than watching TV or movies. The more words in your communication arsenal, the more articulate you become. This helps you in all manner of relationships—from intimate partnerships, to parenting, and even to communicating to coworkers or your boss. – Our ordinary daily lives can sometimes get monotonous. It’s just a fact of life, unfortunately. The good news is, books can help fuel our imagination and allow our minds to escape the daily grind for a while. This can stimulate all of our own creativity—allowing us to think new thoughts, brainstorm new solutions, and even dream up our own literary worlds we may want to create someday. – Fiction books aren’t the only ones to offer benefits. In fact, nonfiction self-help books, combined with traditional therapy, have been shown to help support those —working through depression. Guided self-help books, also known as bibliotherapy, can deliver bite-size intervention and support for those with mild to severe depression. This can be particularly useful when a person struggles to overcome their depression to make it to support groups, or if they have social anxiety or are introverts, or simply lack the energy to do much. Winter days can get long and if you’re not prepared, they can certainly drag. The good news is, 2018 delivered some intense, fascinating, and must-read novels for you to check into. Whether you like Stephen King or want to check out a different storyteller—Canadian Pharmacy King knows there are plenty of science-backed health reasons to sit down with a good book. Hopefully, you stumbled on your next gotta read novel, or were at least inspired to dive into a new story today.